Coming this October to the Lawrence, Kansas, Holiday Inn… I hope. Definitely going to have to make some last-minute phone calls if I’m really going to pull this off. But I figure, if Comic-Con can get 130,000 people to flood into San Diego, then surely a week-long celebration of Ranker lists could attract a minimum of 200 times that number to the jewel in the middle of Central Kansas’s crown. Anyway, I think we’d definitely have a panel on writing good introductions to “List of the Week” blog posts that aren’t too long, and that segue neatly into the main body of the post. Because I need to learn how to do that. Here’s what happened this week! – Our CrowdRanked list of the Most Ridiculous Superheroes Ever continues to grow, though I’m not sure how you could ever top Bouncing Boy. 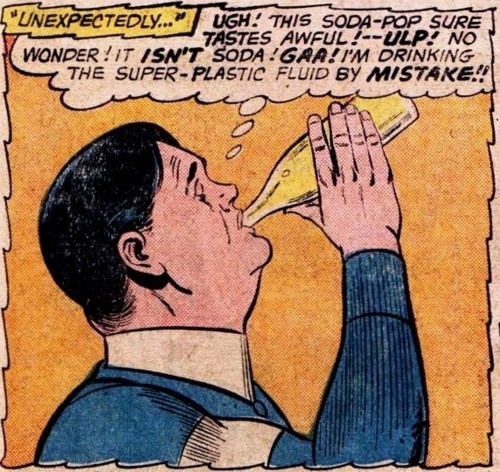 He’s a guy named Chuck Taine (so already…weird… ) He accidentally drinks a “super plastic formula” which he mistakes for soda pop. (Who’s going around drinking random items in bottles and just assuming that it’s soda?) Now he has the power to inflate his body into the shape of a ball. Oh, no, wait, it’s just Bud Light. – Now that superhero films have become such a part of the mainstream culture, the phenomenon of actual people dressing up in costumes and fighting crime (or just one another) has also exploded. One need only peruse the mighty and ferocious battles in our list of the Greatest Real-Life Superhero Brawls to see that masked vigilantism is on the rise. And also to get a little worried for the future of our species. Both of those. – Finally, this rundown of superheroes who have disabilities includes a number of well-known characters – your Batgirls, your Daredevils – but also brought to mind some lesser-known crusaders for goodness and justice as well. 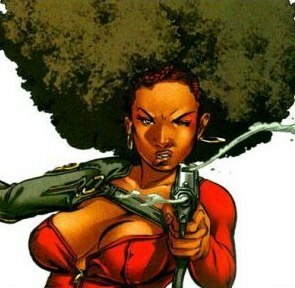 For example, Misty Knight, a sort-of riff on Cleopatra Jones or Foxy Brown, only with a robotic arm this time. If they ever do a movie of this character, they’d have to CGI that fro. David Hyde Pierce can do the voice-over! Not all of this week’s news was fanboys and nerdgasms, of course. There was also the death at age 27 of singer Amy Winehouse, whose struggles with alcohol and drug abuse had become a matter of public record. They tried to make me write a snarky caption underneath this Amy Winehouse video. I said no, no, no. Winehouse unfortunately joins the CrowdRanked list of rock stars who died before their time, with the most potential for great future recordings. Right now, she’s at #26. It will be interesting to see if she moves up or down once the shock of her passing wears off. Tonight kicks off the very last season of HBO’s probing, epic, sweeping series “Entourage,” based on the true story of some douchebags who moved to LA and went to a lot of parties with B-level celebrities, often with a timely side project to promote. It was this or another season of “Deadwood.” Thank goodness they took the classy route.